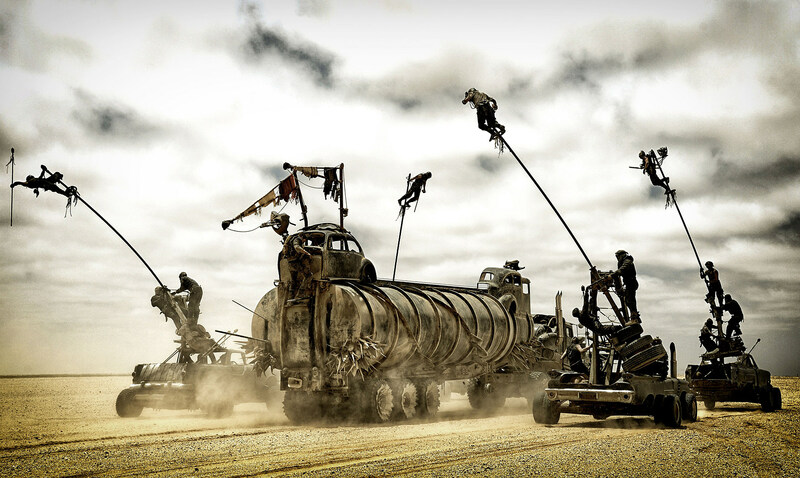 I just watched ‘Mad Max: Fury Road’ again last week, and I tell you I couldn’t direct 30 seconds of that. I’d put a gun in my mouth. I don’t understand how [George Miller] does that, I really don’t, and it’s my job to understand it. I don’t understand two things: I don’t understand how they’re not still shooting that film and I don’t understand how hundreds of people aren’t dead. That’s a fair point, considering so much of the action was practical, rather than CGI. Miller himself said about 90 percent were real, live stunts. But the part that stood out the most for Soderbergh — and for a lot of the rest of us — was the polecats. "I could almost see that’s kind of possible until the polecat sequence, and then I give up," he said, presumably shaking his head and tossing his hands up in disbelief. Audiences and critics alike were gobsmacked when Fury Road roared into theaters like a blast of pure, uncut adrenaline, but it’s an additional thrill to learn that even highly accomplished A-list directors are also completely amazed by what George Miller accomplished. Now get to work that sequel, wouldya George?